A Safety Management System is part of the overall management system that an organisation uses to control and govern key activities. It contains policies, procedures, processes and resources for maintaining WHS compliance and managing WHS risks. Having a well designed Safety Management System in place assists organisations to meet their obligations under the WHS Act. Firstly the senior management needs to be committed to ensure engagement and leadership in WHS performance. Officers of the business must exercise “due diligence” to ensure that the business complies with health and safety duties. Best practice is for the leadership team to be trained in their responsibilities under the WHS Act. One popular tactic is to provide access to a suitable VET level training course.Many of these courses are now available online allowing busy managers to complete a government approved course without attending off site training. 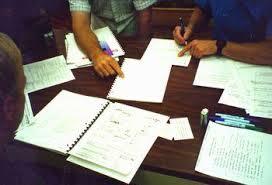 Once trained managers can assess their organisation’s current WHS position. Then they should be involved in subsequent follow ups and reviews. This performance review process will identify recurring injury trends, risk hot spots and gaps in the management system. Having an effective Safety Management System in place will assist officers of the organisation meet their obligations under the WHS Act. Next, senior management should plan realistic objectives and targets against which they will measure the performance of the organisation. 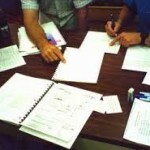 Plans should include strategies for communicating and engaging workjer, implementation and frequency of WHS audits, the activities required to being the organisation to full compliance, procedures for regular review of progress and budgeted resources allocated to achieving these ovbjectives. The third step is implementation of a systematic approach to managing WHS compliance. One successful tactic is to bring together a core iopentation team with senior management authority. This team runs information and briefing sessions with staff, prepares and distributes information and ensures WHS is a leading agenda item in management and workers meetings. The team does not take away the need for senior management involvement however. It is key that the CEO level introduce the objectives and vision for the organisation to ensure everyone understand the importance of the placed on compliance. Workers should be trained in policies and procedures as early as possible in the employment cycle. Many organisations use the initial staff induction to train new staff about the WHS policies and procedures. 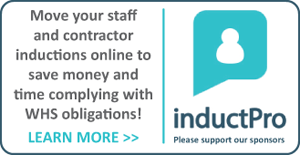 Many employers are now turning to low cost online safety inductions to deliver key information about the WHS policies and procedures. Online inductions can be completed by the new staff member on their own time and before they arrive on site. The following stage is critical. Once people are trained and the WHS policies and procedures implemented, it is necessary to measure and evaluate performace In this way you can drive continual improvement and align with the stated goals of the organisation. Systems need to be developed that measure WHS performance. Many organisations use manual systems for recording the number of incidents and accidents, lost time injury and the number of hazard inspections. These do a fine job but typically the larger employers need systems that handle scale. These organisations turn to application specific WHS software. Current safety management software solutions allow the capture and processing of incidents, near misses and hazards from the field, in real time. Other key functions include the ability to assign control actions and automatically follow up and escalate exceptions. Some systems even manage return to work procedures and perform risk management and internal audits. With software all these workflows are automated and integrated in a WHS safety management system allowing the organisation to manage WHS compliance across large workforces and easily report on performance. Finally the system should be reviewed on a regular basis to identify what is working and where improvements can be made. Engaged staff can be involved in this process and bplay vital role in the ongoing success of the system.